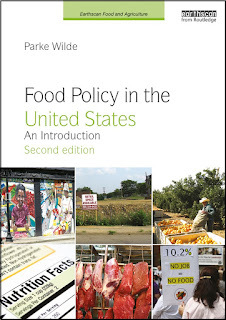 U.S. Food Policy: The New York State "fat tax"
New York State Health Commissioner Richard Daines has endorsed Gov. David Paterson's revenue-generating budget proposal to create a so-called "fat tax" - an 18 percent levy on sugary drinks like non-diet soda. His endorsement, published on You Tube December 26th, is a five minute dialog which describes the increased consumption of sugar laden drinks, the concurrent rise in obesity, and the cost and impact of the obesity epidemic on the public. The tax is arguably focused on health care policy as opposed to revenues. Elizabeth Benjamin of The Daily Politics covers the issue in her blog post The Doctor is in (Cyberspace). Daines also quotes a research editorial from the Journal of the American Dietetic Association called How Discretionary Can We Be with Sweetened Beverages for Children which concluded: "Only one high-risk dietary practice emerged as being linked to overweight in children: the intake of sweetened beverages." It's a rather ridiculous video. I'll likely blog about it next week. It's ridiculous because of the mind numbing oversimplification of obesity into the variables milk consumption and cola consumption. In fact drop per drop there are more calories in milk than Coca Cola. Therefore if every child swapped out their colas for milk, the problem might well get worse. Of course many things have changed since 1970, among them milk and cola consumption. Dumbing things down this much perpetuates the problem of caloric ignorance. The message of course should be the reduction of caloric beverages as a whole with water as a replacement and then some guidance on maximal milk consumption for children given that indeed, milk is an excellent source of calcium for growing bones. Unfortunately it's also an excellent source of calories for growing bellies too. I'm not so bad to argue with. I do believe that as far as weight goes, calories are calories, however the same cannot be said with regards to nutrition or to satiety with the latter of course having a bearing on weight. All that said, what the video most clearly demonstrates is that looking only at the variables of cola and milk compared with 1970, today's average New Yorker is consuming 2 more glasses of liquid calories. Of course we also know that since 1970 juice consumption has gone up as well so likely the average New Yorker is consuming anywhere from 200-500 more calories weekly purely from liquid sources. If people did simply swap out their 6 additional today glasses of soda for 6 more glasses of milk this would do absolutely nothing for obesity rates unless milk were markedly more satiating (which it may be due to the inclusion of protein but certainly I've not seen a study strongly suggestive that it is). Brings me back to my bottom line - liquid calories are an easy target but by dumbing it down to milk and soda, Richard Daines will be skimming down both the learning points and the efficacy of the program. That's it! Milk is more satiating than soda or gatoraid or similar sugary drinks. The protein helps, but also the fat. I think this will make a difference, and as a pediatrician with a Master's Degree in Nutrition, I hope this idea spreads. It's getting so that normal kids are being viewed as "skinny," the obesity is so prevalent. Very depressing.